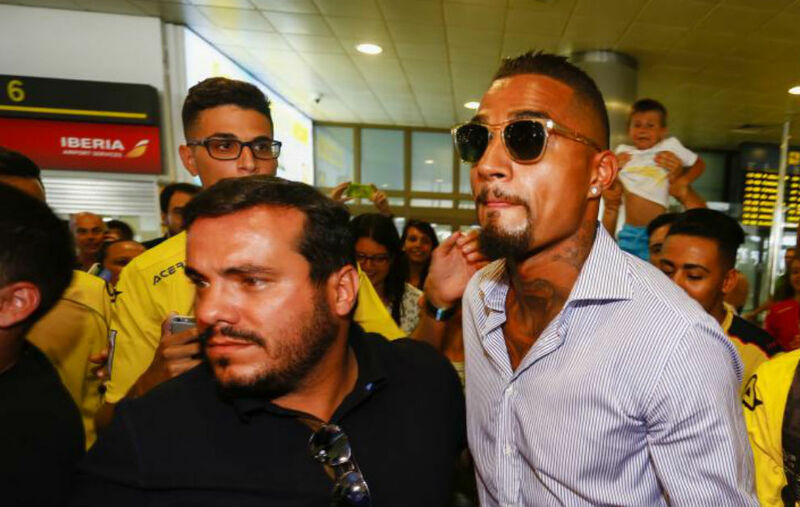 Ahead of Las Palmas’ clash with Real Madrid, midfielder Kevin-Prince Boateng got a chance to detail how fame affected his life and how one day he decided to change his priorities whilst looking in the mirror. The Ghanaian midfielder started his professional career in Germany with Hertha Berlin before a whole host of moves which saw him play in England, Italy and now Spain. At 29 years old, he has plenty left in the tank and in an interview with El Pais, he gave an insight into how he struggled with the demands of fame and how it impacted his football before he eventually turned himself around. “One day I woke up after a big party and I looked in the mirror and said to myself, it’s over,” he explained. This sudden moment of clarity has given the former AC Milan playmaker a new lease of life but it is a trap many young footballers fall into when fame and finance arrives hand in hand. “I couldn’t manage money and fame, I had to learn how to do things on my own, I threw a lot of money around before I learned you had to save it. His partying acted as a masking agent for a young man who was having difficulty assimilating into a new culture with his teammates and his experiences should serve as a warning to young footballers, today.